← 5 Oh-So-Romantic Valentine Gifts to Send Your Girlfriend or Loved One! Are you planning on decorating a nursery? Here are some easy ideas that will look adorable! There are 250 babies born every minute, around 130 million every year. That’s a lot of nurseries to decorate, and if you’re about to be a mom or dad for the first time, you may not be sure where to start. 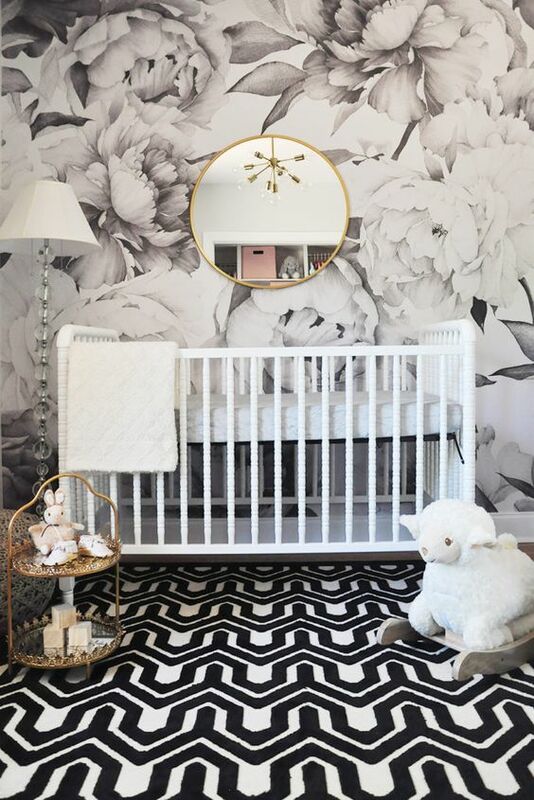 Whether you just purchased one of the Brampton homes for sale to accommodate your expanding family or you’re about to redo a room in the house you’ve had for years, consider these essentials for decorating the nursery. The crib is the centerpiece and investment piece of the nursery, with many babies sleeping in them through their third year or longer. And, if you plan to have more kids, it will need to last even longer. Getting a crib that meets all safety standards is critical, so needless to say, you don’t want to use one you or someone else used as a child a couple of decades ago or longer. Instead of a crib, at least temporarily, you can use a bassinet which can be moved from room to room. That can be very helpful, particularly during baby’s first few months. Of course, you’ll need bedding too – have at least five or six fitted crib sheets as you’ll go through them quickly. If you’re planning on feeding your baby in his or her room, having a comfortable chair is a must. A rocker or glider chair can help baby go back to sleep, or you might just want an armchair with a foot rest so you can put your feet up. Look for a fabric that will clean easily and hold up to lots of use. You’ll need a place to change your baby, and a changing table that can also be used as storage is ideal, especially if you’re limited on space because you’ll need a place to put the diapers, wipes, creams, blankets, sheets, toys and so on. If you don’t have the room, you might want to consider getting a changing pad that can be placed on top of a dresser. Mobiles aren’t just a decoration, their colors and details aid in physical and mental development. When they’re moving slowly, they can help to soothe a baby, and when they’re moving quicker, they can provide entertainment. Babies often want to reach up and grab what’s moving around when they get just a little bit older which helps to aid in physical development by strengthening the muscles as well as brain development. Many new parents don’t think about getting a nightlight for the nursery until they end up stubbing a toe when stumbling in at 3 a.m. for a feeding. While baby won’t be afraid of the dark for at least another year if at all, it’s essential for those times you need to go in at night. And, because it has a soft glow, it will help your baby learn to distinguish between day and night. A fan isn’t just for cooling the room, it’s a great source of white noise that can help your little one fall to sleep easier by masking other household noises. This entry was posted in Decorating ideas and tagged nursery decorating. Bookmark the permalink.